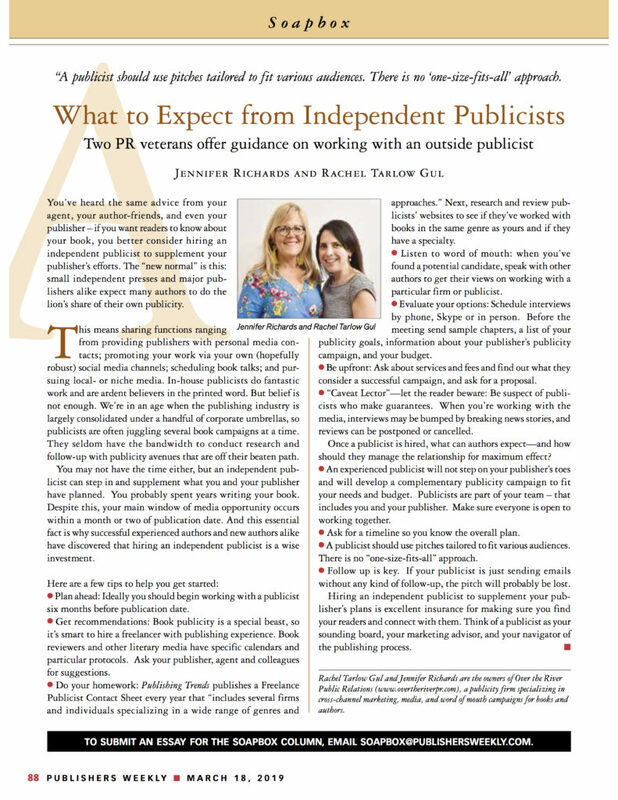 We recently had the opportunity to share with Publishers Weekly some key guidelines to follow when hiring and working with a freelance book publicist. Read on to learn more and then let us know your thoughts! PW talks with OTRPR about the benefits of hiring a freelance publicist.